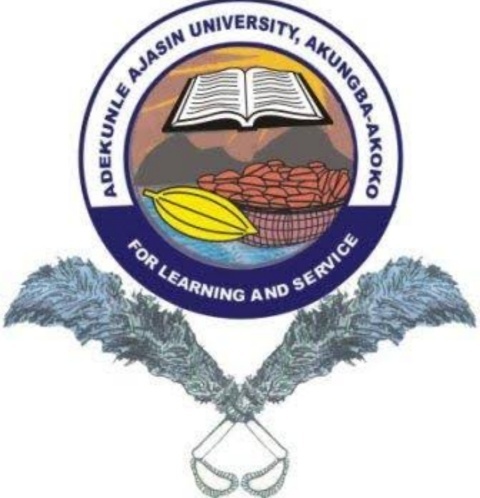 The attention of the Management of Adekunle Ajasin University, Akungba Akoko, Ondo State, has been drawn to a false and misleading school fees regime being circulated on some social media platforms. The patently false piece purports to list school and other miscellaneous fees to be paid by new and returning students of Adekunle Ajasin University. The piece could neither have emanated from nor even concern our Institution as several courses not offered by Adekunle Ajasin University such as Nursing, Physiology, Medicine, Laboratory Science, and Engineering are listed in the fake and fraudulent piece. Management wishes to emphatically state that no decision has been taken on the review of the fees payable by students. The University has its own official channels of giving out information to its stakeholders and the general public, including the University website. Such information would be properly signed by a designated officer of the Institution. Any news or information which fails to satisfy these requirements does not and could not have emanated from the University. Parents and students are implored to disregard this misleading information as it was evidently concocted by mischief makers to discredit the University and cause disaffection between it and its stakeholders.